Convoke is an innovative meeting management solution, which automates meeting activities, digitizes paperwork, and eliminates paper-based processes with automated online processes; thereby increasing employee productivity and business efficiency at a fraction of your current costs. This meeting solution is an end-to-end digital solution for managing meetings in a centralized meeting environment. Two major components of Convoke – admin portal & tablet-based client – provide users a convenient & simplified meeting experience. The admin portal enables the meeting host to manage meetings efficiently, which can be done irrespective of the size of the enterprise. The tablet-based client enables members to view meeting details of each committee, and act on-the-move to approve MoM & circulars, including annotations and comments. Convoke incorporates advanced features such as secure data transfer, secure login, account security, personalized watermark, remote wipe, secure data storage and on-premise deployment of confidential information & documents within the organizational setup. Simplified meeting experience ensuring a speedy and hassle-free meeting outcome. User-friendly interface with simple & convenient features, and an environmentally friendly alternative for all your meeting requirements. 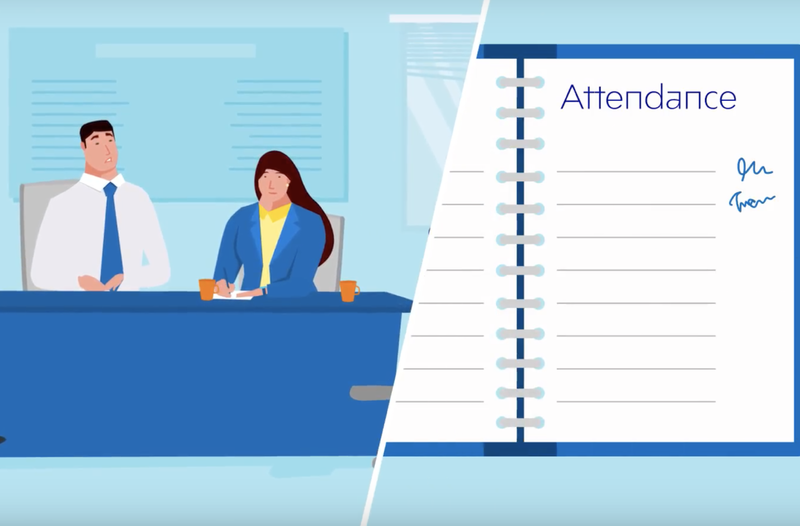 Manage meetings in a secure digital way, share comments with your peers, provide offline access to meeting data, have your own personalized watermark & signature, and avoid unnecessary risks. LTI’s Convoke is an innovative meeting management solution that automates meeting activities, digitizes your paperwork, eliminates paper-based processes with automated online processes; thereby increasing employee productivity and business efficiency. This paperless meeting solution is an end-to-end digital solution for managing meetings in a centralized meeting environment and for scenarios such as CXO/Board level meetings.